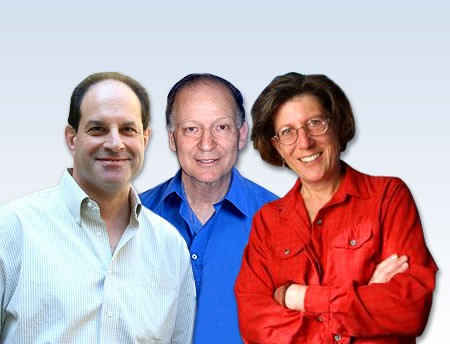 Biochemists David Julius, Baruch Minke and Linda Watkins, scientific leaders in the battle against pain, have been bestowed with the 2010 Prince of Asturias Award for Technical and Scientific Research. The Jury for the Award announced its decision today in Oviedo. Recognised by the scientific community as world leaders in sensory Neurobiology, David Julius, Baruch Minke and Linda Watkins have discovered, from complementary approaches, the causes and mechanisms via which pain is produced and perceived, as well as other sensations such as cold, heat and taste. The findings of these scientists open up new and hopeful avenues for the rational design of specific therapies and drugs for the selective treatment of the different types of pain, one of the great medical challenges of all times. This candidacy was put forward by Ricardo Miledi, 1999 Prince of Asturias Award Laureate for Technical and Scientific Research, and was supported by Edwin Neher, Eric R. Kandel, Paul Greengard and Richard Axel, Nobel Laureates in Physiology or Medicine in 1991, 2000, 2000 and 2004, respectively; and Roderick MacKinnon and Ada E. Yonath, Nobel Laureates in Chemistry in 2003 and 2009, respectively. David Julius (biochemist) was born in 1955 in Brighton Beach (Brooklyn, USA). In 1977 he graduated from the Massachusetts Institute of Technology (MIT) with a bachelor’s degree in Life Sciences and in 1984 he received his Ph.D. in Biochemistry from the University of California, Berkeley. He is Professor and Chair of the Department of Physiology at the University of California, San Francisco. Considered a pioneer in the study of the molecular mechanisms of nociception, Julius hypothesizes that nociception is a specific and individual sensory modality. His studies have shown that nociceptors are a subtype of sensory neurons that respond to a wide range of physical and chemical stimuli having sufficient intensity to cause pain. He discovered that the TRPV1 channel is a capsaicin receptor that mediates the body’s response to temperature and tissue inflammation and damage, an important finding for the treatment of chronic pain and syndromes related to neurogenic inflammation, arthritis, cancer, and asthma. His work has also led to an understanding of allodynia, or the experience of pain from an innocuous stimulus, and hyperalgesia, the experience of excessive pain from (ordinarily less) painful stimuli. He is a member of the National Academy of Sciences (United States) and the American Academy of Arts and Sciences, and has received the Yngve Zotterman Prize of the Physiological Society of Stockholm (2003); the Kerr Basic Science Research Award of the American Pain Society (2006); the K.J. Zülch Prize for Basic Neurological Research of the Max Planck Society (Germany, 2006); the Edward Scolnick Prize in Neuroscience of the McGovern Institute for Brain Research at MIT (USA, 2007); the W. Alden Spencer Award of the Center for Neurobiology and Behavior at Columbia University (2007); the Julius Axelrod Prize of the Society for Neuroscience (2007); the Unilever Science Prize (USA, 2007) and the Passano Foundation Award (USA, 2010), among other honors. Baruch Minke (biochemist and geneticist) was born in Tel Aviv, Israel. He received his undergraduate degree in Psychology and Biochemistry from the Hebrew University of Jerusalem, and a Ph.D. in Biophysics from the same university in 1973. He conducted his postdoctoral training at Purdue University (Indiana, USA) where he studied genetics and electrophysiology of the visual system. Since 1987 he has been a Professor of Medicine at the Hebrew University of Jerusalem, where he has acted as Chair of the Physiology Department and is a member of several executive committees. He is also the Director of the Wilhelm Kühne Minerva Center for Studies of Visual Transduction, of the Max Planck Society, and an advisor to the Israeli Council for Higher Education. He has taught at the Johns Hopkins University (Baltimore, USA) and the University of California, San Diego (San Diego, USA) and has conducted research at the Max Plank Institute for Biological Cybernetics (Germany, 1976-1979); the Experimental Ophthalmology Laboratory at the Cantonal Hospital of Geneva (Switzerland, 1983); the Rheinisch-Westfälische Technische Hochschule Aachen University (Germany, 1986) and the Australian National University (Canberra). Baruch Minke was the first to identify a new type of ion channel, the TRP channel, as a result of his studies on phototransduction and vision in fruit flies (Drosophila melanogaster). He studied the biophysical and biochemical properties of TRP channels in fruit fly eyes, and identified phospholipase C and the TRP channel as a common signaling pathway in numerous sensory systems, including nociception, thus laying the foundation for the study of the molecules that underlie the role of nociceptors in pain. TRP channels, fundamental components of biological sensors, are involved in pain perception, the sensation of temperature and mechanical stimuli, photoreception, pheromone perception, taste perception, sour perception, Ca2+ and Mg2 homeostasis, the regulation of smooth muscle tone and arterial tension, lysosomal function, cardiovascular regulation, and the control of cell growth and proliferation. Baruch Minke is a member of the International Brain Research Organization (IBRO) and the Israeli Society of Vision and Eye Research. He is also on the editorial board of prestigious international journals such as Cell Calcium and The European Journal of Physiology/Pflügers Archiv. He has organized four international conferences and received numerous research grants, including 10 grants from the National Institute of Science (USA). Linda Watkins (biochemist and physiologist) was born in 1954 in Norfolk, Virginia (USA). In 1976 she received her bachelor’s degree in Biology and Psychology from the Virginia Polytechnic Institute and State University, and in 1980 received her Ph.D. in Physiology from the Medical College of Virginia. She has been a Professor of Psychology at the University of Colorado in Boulder (USA) since 1988, and has conducted research at the University of California, Davis, and the Medical College of Virginia. She is on the editorial board of several international scientific journals. Linda Watkins discovered a new agent of pain: the non-neuronal nerve cells called glial cells, which play a key role in pathological pain and pain resulting from nerve damage. Her research has been fundamental in the study of why certain analgesic treatments, acting exclusively on neurons, do not succeed in reducing pain. Also, her work has shown how all classes of opioid analgesics trigger the release of neurostimulants from glial cells that override the calming effects of these drugs and lead to tolerance, dependence, or even respiratory depression. Linda Watkins discovered that these effects are not mediated by classic opioid receptors but rather a different receptor, TLR4, which plays a role in glial activation and is a new target for drug treatment. Linda Watkins is a member of the International Society for Neroimmunomodulation, the International Association for the Study of Pain, the PsychoNeuroimmunology Research Society (USA), the International Pain Foundation, the Society for Neuroscience, and the American Pain Society, among other organizations. Among the awards she has received are the Norman Cousins award of the PsychoNeuroimmunology Research Society (USA, 2005), the FWL Kerr Basic Science Research Award of the American Pain Society (2005) and the Pilot Award of the Colorado Clinical & Translational Sciences Institute (2010). The Prince of Asturias Foundation's statutes establish that the aim of the Awards is to acknowledge and extol “scientific, technical, cultural, social and humanistic work carried out by individuals, institutions, groups of individuals or institutions at international level.” In consonance with this spirit, the Prince of Asturias Award for Technical and Scientific Research “will be bestowed upon the person, institution, group of people or group of institutions whose discoveries or research work represent a significant contribution to Mankind’s progress in the fields of Mathematics, Physics, Chemistry, Biology, Medicine, or Earth and Space Sciences, or to techniques or technologies related to these fields”. This year a total of 35 candidatures from Argentina, Brazil, Colombia, Costa Rica, Cuba, China, Finland, France, Israel, Mexico, Netherlands, Sweden, Switzerland, Thailand, United Kingdom, United States and Spain ran for the award. This is the fourth of the eight Prince of Asturias Awards to be bestowed in what is their 30th edition. The Prince of Asturias Award for the Arts went to American sculptor Richard Serra, the Prince of Asturias Award for Social Sciences was conferred on the Archaeological Team of the Warriors of Xi’an (China) and the Prince of Asturias Award for Communication and Humanities was jointly bestowed on French and Polish sociologists Alain Touraine and Zygmunt Bauman. The awards for Literature and International Cooperation will be announced in the coming weeks, with the Sports and Concord awards being announced in September. Each Prince of Asturias Award, which date back to 1981, comprises a diploma, a Joan Miró sculpture representing and symbolising the Awards, an insignia bearing the Foundation’s coat of arms, and a cash prize of 50,000 Euros. The awards will be presented in the autumn in Oviedo at a grand ceremony chaired by H.R.H. the Prince of Asturias.